Black Friday and Cyber Monday are less than two weeks away. That means big sales for Amazon FBA sellers. But are you prepared for the holiday rush? When you’re dealing with 40 orders per day per SKU (stock keeping unit), the last thing you want to do is run out of inventory. Ideally, you should have at least 3-4 times the normal inventory you would for a non-holiday month’s worth of sales. Yes, Q4 storage fees are much higher compared to those you pay during the rest of the year, but paying a few extra quarters to keep your stuff in an Amazon Fulfillment center is much better than running out of your top selling product in the middle of the holiday rush. 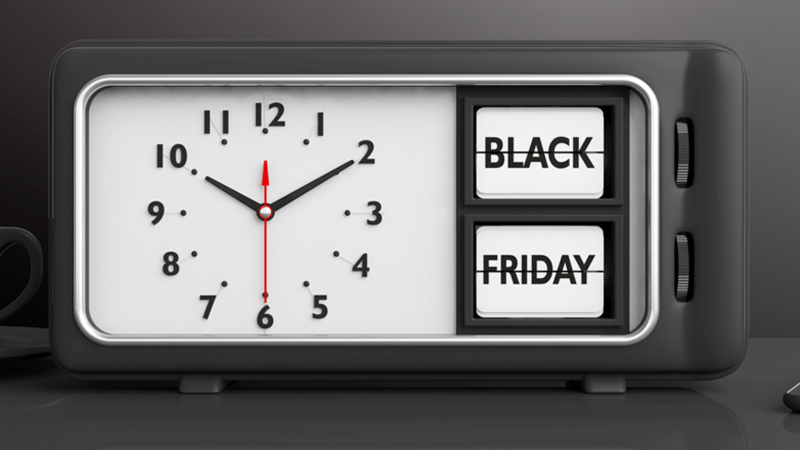 Recently, we ran an article that revealed that the “big” retailers start advertising as early as September for Black Friday and Cyber Monday. But then they stop spending. We believe you should continue to advertise all the way up to Christmas. However, it doesn’t hurt to make your products top-of-mind for your customers now too. Be sure to tweak your current promotions and optimize high-performing keywords. Not only should you check out how your current advertising campaigns are doing, but it’s probably a good idea to set up some new ones too. Not many sellers are aware that holiday buyers use totally different keywords when they shop. You want to make sure that you’ve got each and every long tail phrase you can out there! Of course, a great way to do that is with Keyword Scout, which can help you find thousands of new keywords. Remember: conversion rates are significantly higher during this period, sometimes as high as 200% or more. Create both manual and auto campaigns to catch every buyer you can. Bonus: turn on the Bid+ button. Under manual campaigns, there is a button that will increase your PPC bids by 150%, if it means you’ll score a spot on the front page. It’s called Bid+. Personally, there are only two situations when I’ll use this feature: 1) when I’m launching a new product, and 2) during the holiday season. Even if per click ad costs are 150% of what they are normally, the massive jump in unit/session percentages offsets that increase and makes your products more profitable. Just be sure to turn it off as soon as the holiday rush ends! People love a good sale, but during the holidays the desire for discounts goes up. To encourage shoppers to spend their money on your product(s), be sure to have plenty of promotions set up and ready to go. Use coupons to get clicks to your listing(s) and then show them your Buy-One-Get-One deal, or percentage-off offer to get them to buy. You might even try putting up your promotions on an Amazon promotional site like JumpSend to really get the word out about your product(s). When you’re headed out to a holiday dinner, you like to look your best, right? Well, your product listing is no different! How do your pictures look? Are your titles maximized for clicks? Do your descriptions accurately describe what you’re selling? If you’re not sure about that last point, there’s still time to set up A/B testing, get feedback and make changes. Plus, with all the traffic you’re going to be getting, using an A/B testing site like Splitly over the holidays will get you the most bang for your buck in the shortest period of time. Now’s the perfect time to split-test! Demonstrate your business and brand’s value and people will buy from you again. All it takes to make that happen is a good follow-up email. Create personalized emails to everyone who purchases something from you on Amazon using a service like JumpSend (it’s included in the promotions package). And be sure to handle any issues that might come up with grace and speed. You might be a seller on Amazon, but you don’t have to be “just another seller on Amazon”. Stand out! While I’m not a huge advocate of staring at your phone all day, you might want to get the Amazon Seller App if you don’t have it already. It can keep you updated on inventory levels, sales as they occur and, most importantly, customer messages. Whenever I get a message from a customer, I can quickly respond using the Amazon seller app. Fast responses to customer inquiries demonstrate a commitment to excellence! Even though the holidays are fun and exciting, be sure your eyes are set on the future too. Chances are your vendor is from China, and that means they’re going to be gone for 2-3 weeks during the Spring Festival/Chinese New Year. So, get your orders ready now for the first quarter. In fact, it’s not a bad idea to place your deposits now as well. That way, when your order is ready to ship in January, you can use the funds you secured from the holidays to pay the balance. The holidays are a profitable time for Amazon FBA sellers. And if you live in the US, then you know all too well that Uncle Sam wants to take a big bite out of those profits. To prepare yourself for tax season, get all of your books in order and ready for January. You want them in the hands of a competent accountant by March. I can’t express enough how important it is to have a great accountant taking care of your business’ taxes. For the last three years I’ve had fantastic holiday sales. But despite huge profits, I sent a check to the IRS (Internal Revenue Agency) that was smaller than I expected. My accountant has literally saved me thousands of dollars in taxes each year. She’s worth every penny! You’re about to have a dump truck full of money dumped on your lap thanks to increased holiday sales. But before you start dreaming about that Lamborghini you plan on buying with that case though, turn your attention to your Amazon business instead. The first half of the year is a great time to launch new products, which means this is the perfect time to start your new product research. You might not be able to get it in stock by Q1, but you can still get the ball rolling by ordering samples now and making decisions that can be made ahead of the launch. If this is your first year selling, get ready to have fun! There is seriously no cooler feeling in the world than checking your daily sales on Fetcher and seeing massive sales (and profits!) hitting your Amazon seller account. Experienced sellers: let us know down in the comments what other awesome ways you use to prepare for the holidays.